Brews 5.1 gallons (19.3 liters) of perfect coffee per hour. Brews 1/2, 1, or 1-1/2 gallon (1.9, 3.8, or 5.7 liter) batches. Hot water faucet does not affect brew level. 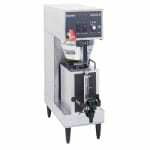 Electronic timer ensures fast set up and accurate brew levels. 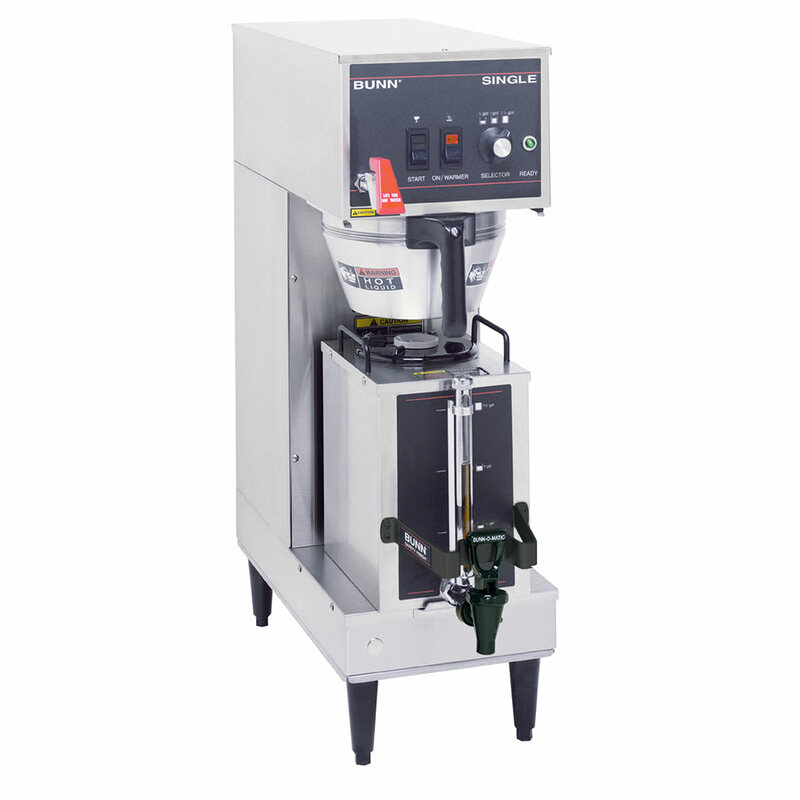 Electronic grinder interface instructs grinder on exact amount of coffee for selected brew batch size. 1.5 GPR portable server (included) has a patented Safety-Fresh brew-through lid with vapor seal and spill protection. Photo May Include Optional Accessories! Features, Options & Specifications Subject to Change Without Notice.